To finally end the controversy regarding his educational background, Tablo along with a crew from MBC will be visiting the campus of his alma mater Stanford University. Although he held a personal interview and provided certified copies of his transcripts and letters from officials and one of his former professors, some netizens continue to insist that Tablo did not attend Stanford. They are now claiming that the Daniel Lee in the documents was someone else. Are you freaking kidding me? Anyways, the crew and Tablo are visiting the Stanford campus to further provide proof that he attended school there. The debate over the authenticity of Tablo’s education came to a head this past June when netizens’ actions got out of hand and they began to also attack and affect his family. 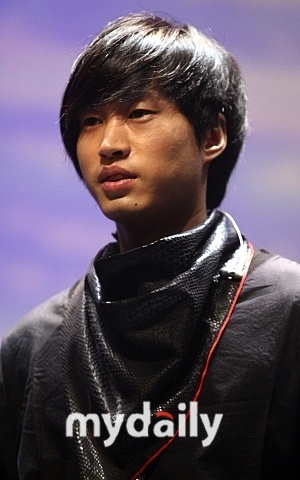 Tablo then began court proceedings against the netizens that started the whole controversy. Hopefully, this special will help to bring an end to the whole issue. Tablo’s MBC special will air September 25th. The bad news is that since the netizens have pretty much lost this fight with Tablo, they found other ‘scandasl’ to rake Tablo over the coals with. They have started questioning Tablo’s citizenship, he has a Canadian citizenship which exempts him from having to perform 2 years of service in the Korean military. Requests to investigate the legality of Tablo’s exemption has been flooding the office that receives the inquiries, but no decision has been made yet. Rumors that Tablo plagiarized some of his songs also began to circulate in July. This is just disgusting. When these netizens realize that one of their scandals is losing furor because it has been proven false, they just jump on to something else. This cyber lynching is really a problem and not only in Korea, but the rest of the internet connected world. Why is it that people never realize the awfulness of their actions until something drastic happens. In the case of Tablo, he has been out of the limelight since the interview in June and he has spoken of leaving the entertainment business. To lose a talented individual like Tablo in the Korean music industry would be such a great loss. A part of me feels like encouraging Tablo not to give up because that would just be letting the haters win, but the other part of me questions if the fight is even worth it when it adversely affects you and your family so much as in Tablo’s case.